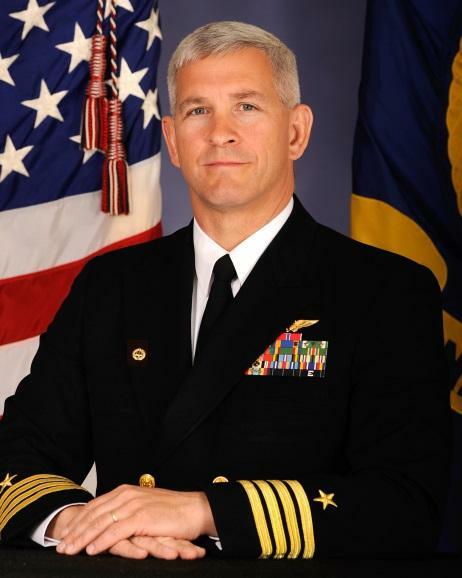 A native of Flint, Michigan, Captain Croxson is a 1992 graduate of Eastern Michigan University with a Bachelor of Science Degree in Chemistry, concurrently commissioned in the United States Navy on 19 June 1992 through the NROTC Program at the University of Michigan. In May 2015, CAPT Croxson assumed command of the Multifunctional Information Distiribution System (MIDS) Program Office (PMA/PMW-101) as the Program Manger. PMA/PMW-101 is an Acquisition Category (ACAT) 1C program assigned to Program Executive Office Tactical Aircraft Programs. MIDS develops, fields and supports interoperable, affordable and secure tactical data link and programmable networking technologies and capabilities for the Joint, Coalition and International warfighter. MIDS products support airborne, maritime, and fixed station platforms with a multi-band, multi-mode, networkable, software definable radio system satisfying existing and future requirements for DoD Joint Interoperability. MIDS consists of two efforts, MIDS Low Volume Terminal (LVT) and MIDS Joint Tactical Radio System (JTRS). MIDS-LVT is a multinational cooperative program governed by the MIDS Program Memorandum of Understanding (PMOU), signed by each cooperating nation including the United States, France, Germany, Italy and Spain. MIDS JTRS builds upon existing MIDS-LVT technology and product base for its Link 16, voice, and TACAN functionality and brings in a software-driven multi-channel architecture to provide the capabilities to the warfighter. MIDS JTRS is an evolutionary acquisition program that enables future capabilities and technology insertion via an open systems architecture. CAPT Croxson has over 3,000 hours of flight time in 30 different aircraft, of which over 2,200 are in the EA-6B. He has been awarded the Bronze Star, Navy Meritorious Service Medals (two awards), Air Medal Strike/Flight (five awards), Navy Marine Corps Commendation Medals one with combat “V” (three awards), Navy Marine Corps Achievement Medals (two awards) and various other personal and unit awards. He is a life time member of The United States Naval Institute, Association of Old Crows, Tailhook Association, and a member of the TPS Alumni Association. Mehmet Yavuz, Qualcomm Technologies Inc.
Mehmet is VP of Engineering at Qualcomm Technologies Inc. He joined Qualcomm Corporate Research and Development (CR&D) department in 2003 and his contributions include system design, development, standardization and implementation for projects including such as 1xEV-DO Rev-A, VoIP over wireless, UMTS, HSPA, LTE and 5G. From 2010 to 2016 Mehmet has led LTE small cells group and 1000x initiative in Qualcomm Research including areas such as UltraSON Self Organizing Networks, Neutral Host services, 3.5GHz US Citizens Broadband Radio Services (CBRS), LTE in Unlicensed Bands. Many of these technologies are either commercially deployed or in the process of commercialization. Most recently, Mehmet has been leading the work on private Internet of Things (IoT) networks and industrial IoT applications with 4G LTE and 5G NR in Qualcomm Research Center. Prior to Qualcomm, during 1997-1999, Mehmet worked on signal processing and inverse problems at General Electric Global Research Center. From 1999 to 2003 he worked on many aspects of cellular system design as part of CDMA System Research and Development group at Nortel Networks. Mehmet has more than 150 issued patents with USPTO and received Qualcomm IP Excellence Award in 2013. He also received Qualcomm Research Distinguished Contributor Award for Project Leadership, 2014 and for Technical Contributions in 2009. He holds B.Sc. in Electrical Engineering from Middle East Technical University, Turkey; and holds M.S. and Ph.D. degrees in Electrical Engineering from the University of Michigan, Ann Arbor. Mrs. Ellen M. Purdy currently serves as the Director, Emerging Capabilities & Prototyping Initiatives & Analysis in the Office of the Assistant Secretary of Defense (Research & Engineering). She is responsible for rapid development of fieldable prototypes and capability supporting emerging needs in autonomy, communications, sensing, and electronic warfare. She leads the Spectrum Access R&D Program and Rapid Innovation Fund Program. Mrs. Purdy focuses on assessing resilience of new capabilities against adaptive adversaries. She fosters collaborative engagement with traditional defense industry, non-traditional commercial sector organizations, and academia to pursue innovative solutions. Pursuits range from enhancing commercially available technology to military-unique, solid state, software reconfigurable based technology solutions. Mrs. Purdy joined Research & Engineering in 2010 and served as Deputy Director for the Joint Capability Technology Demonstrations (JCTD) Office. Her responsibilities included financial and technical oversight of JCTD projects that rapidly matured emerging operational concepts and technologies in support of Combatant Commands. Previously, Mrs. Purdy served as the Enterprise Director, Joint Ground Robotics where she had oversight of the unmanned ground systems portfolio, strategic planning for ground robotics and the annual RDT&E funding for ground robotic technology development. During her tenure, Mrs. Purdy secured Congressional support and Undersecretary of Defense (Acquisition, Technology & Logistics) approval for a $175M Other Transaction Agreement (OTA) with the Robotics Technology Consortium. This unique approach with industry resulted in rapid transition of technologies into a ground robotics inventory that grew from under 1000 systems to over 6000 during her tenure. Prior to her robotics assignment, Mrs. Purdy served in the US Army Program Management Office, Future Combat Systems Brigade Combat Team in a variety of positions including Director, Combined Test Organization; Deputy Director, Combined Test Organization; Manager, Test, Analysis, Modeling and Simulation; and Integrated Product Team Lead for Integrated Simulation and Test. Mrs. Purdy has a University of South Florida BS degree in Chemical Engineering, and George Washington University Masters degree in Engineering Management. She has served as a member of the Advisory Board for the Virginia Center for Autonomous Systems, Virginia Polytechnic Institute and State University; an elected member of the City of Manassas School Board; an elected member of the Board of Directors, Association for Unmanned Vehicle Systems International (AUVSI); and the Board of Advisors, Virginia Modeling and Simulation Center, Old Dominion University. Her awards include two Superior Civilian Service Award medals, two Commander’s Award for Civilian Service medals, and the Achievement Medal for Civilian Service. 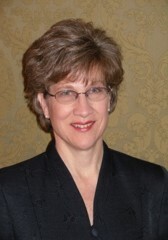 Mrs. Purdy has authored over 20 published technical and journal reports, and periodical articles. Prof. Dr.-Ing. Habil. Dr. h.c. mult. Ulrich L. Rohde is the partner of Rohde & Schwarz, Munich Germany, Chairman of Synergy Microwave Corp., Paterson, New Jersey; President of Communications Consulting Corporation, serving as an honorary member of the Senate of the Armed Forces University Munich, honorary member of the Senate of the Brandenburg University of Technology Cottbus–Senftenberg, past member of the Board of Directors of Ansoft Corporation, Pittsburgh, Pennsylvania. Dr. Rohde is serving as a honorary professor at IIT Delhi, full professor at Oradea University, Romania, and visiting professor at Technical University Munich, Germany. 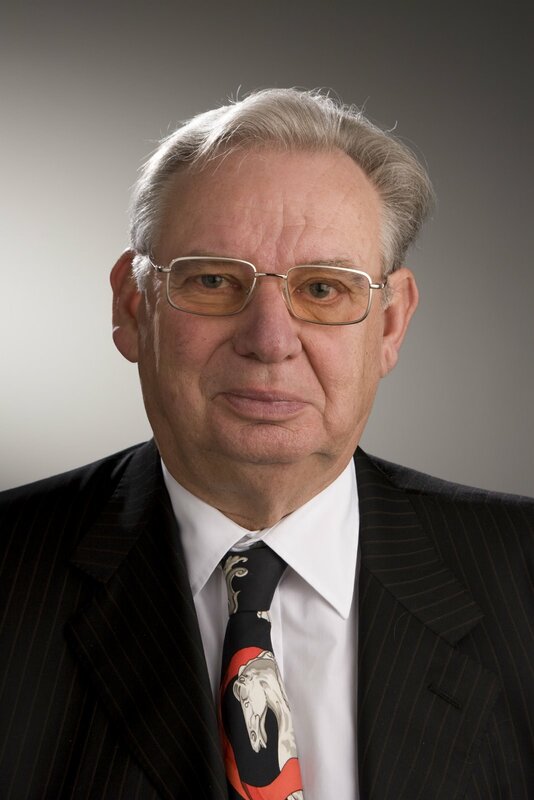 Prior to Honorary Professor of RF and Microwave Technologies at the University of Cottbus, Dr. Rohde was member of the staff at George Washington University (1982) and as an adjunct professor at the University of Florida, Gainesville, teaching in the Electrical Engineering and Computer Sciences departments gave numerous lectures worldwide regarding communications theory and digital frequency synthesizers. Dr. Rohde is a IEEE life Fellow, published more than 350 scientific papers in professional journals and conferences, co-authored of 15 technical books and book chapters, and over 4 dozen patents. Dr. Rohde is recipient of prestigious 2014 IFCS C. B. Sawyer Award, 2015 IFCS I. I. Rabi Award, and 2015 IEEE Region 1 scientific Innovation award, 2016 IEEE MTT-S Microwave application award, and 2017 IEEE AP-S Distinguish Achievement Award. Dr. Rohde is a member of the following: Fellow Member of the IEEE, Member of the IEEE Technical Committee for HF, VHF, and UHF Technology MTT-17, Member of the IEEE Signal Generation and Frequency Conversion MTT-22, Member of the Board of Trustees Fraunhofer Gesellchaft (EMFT) for Modular Solid State Technology, Member of the Board of Trustees of the Bavarian Academy of Science, and Honorary Member of the Academy of Science, all in Munich, ETA KAPPA NU Honor Society, Executive Association of the Graduate School of Business-Columbia University, New York, The Armed Forces Communications & Electronics Association, Fellow of the Radio Club of America, former Chairman of the Electrical and Computer Engineering Advisory Board at New Jersey Institute of Technology. In 2006, Dr. Rohde was honored as Microwave Legend by Microwave & RF Magazine; the selection was based on global voting. In 2009, Dr. Rohde was selected in the list of Divine Innovators of November 2011, Microwave Journal. Based on Dr. Rohde’s 5-decade of scientific creativity and pioneer contributions in the field of microwave communications systems and antenna, IEEE has established 3 awards in his name–the IEEE Ulrich L. Rohde Innovative Conference Paper Awards on Antenna Measurements and Applications and the IEEE Ulrich L. Rohde Innovative Conference Paper Awards on Computational Techniques in Electromagnetics, and IEEE Ulrich L. Rohde Humanitarian Technical Field Project Award. His hobbies are sailing, U.S. Merchant Marine Officer, Master of Steam or Motor Vessels, photography and ham radio (N1UL). Mr. Paul Tilghman joined the Defense Advanced Research Projects Agency (DARPA) in December 2014. His research interests focus on intelligent and adaptive RF systems which combine digital signal processing, AI, and machine learning to allow autonomy in fields like wireless communications, radar, and electronic warfare. 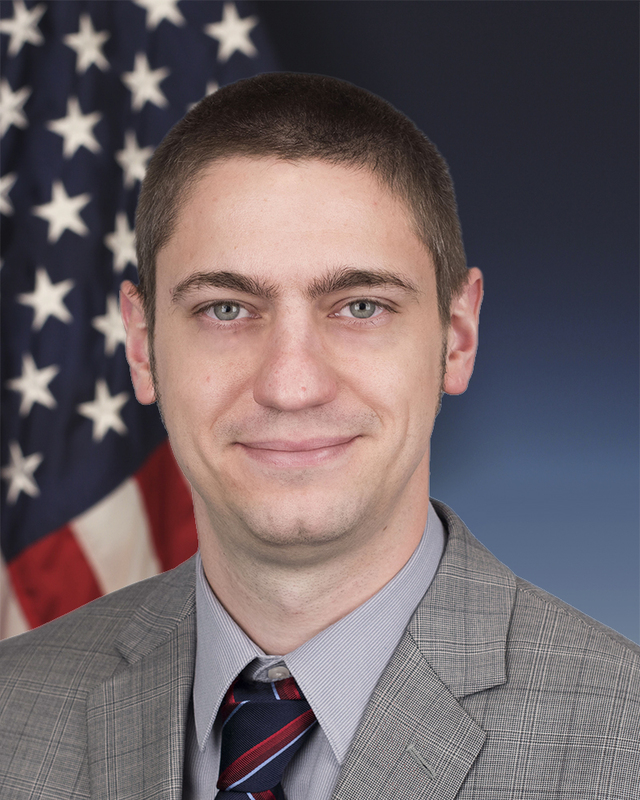 Prior to joining DARPA Mr. Tilghman was a senior research engineer at Lockheed Martin’s Advanced Technology Laboratories where he led programs in adaptive electronic warfare, signals intelligence, and non-cooperative geolocation. He is a prior recipient of Lockheed Martin’s highest award, the NOVA award. Mr. Tilghman received his B.S. in Computer Engineering from Rochester Institute of Technology and his M.S. in Electrical Engineering from Drexel University. Michael P. Wellman is Professor of Computer Science & Engineering at the University of Michigan. He received a PhD from the Massachusetts Institute of Technology in 1988 for his work in qualitative probabilistic reasoning and decision-theoretic planning. From 1988 to 1992, Wellman conducted research in these areas at the USAF’s Wright Laboratory. For the past 25 years, his research has focused on computational market mechanisms and game-theoretic reasoning methods, with applications in electronic commerce, finance, and cyber-security. As Chief Market Technologist for TradingDynamics, Inc., he designed configurable auction technology for dynamic business-to-business commerce. 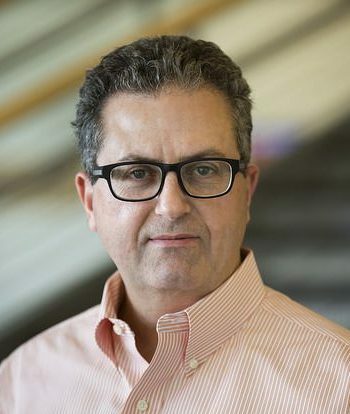 Wellman previously served as Chair of the ACM Special Interest Group on Electronic Commerce (SIGecom), and as Executive Editor of the Journal of Artificial Intelligence Research. He is a Fellow of the Association for the Advancement of Artificial Intelligence and the Association for Computing Machinery.